Product prices and availability are accurate as of 2019-04-24 21:56:46 EDT and are subject to change. Any price and availability information displayed on http://www.amazon.com/ at the time of purchase will apply to the purchase of this product. 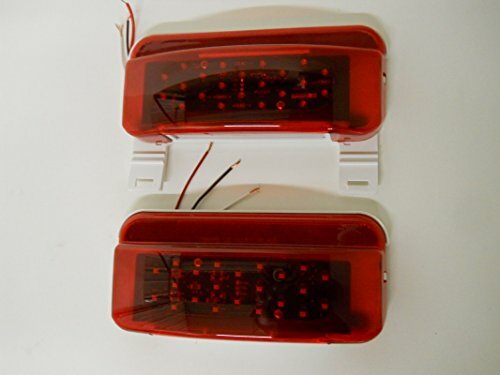 LED RV Camper Trailer Stop Turn Brake Tail Lights / License Light / White Base LED RV Camper Surface Mount Tail Lights with White Base and License Plate Bracket Pair of Surface Mount LED RV Camper Tail Lights. White Base and License Plate Bracket. 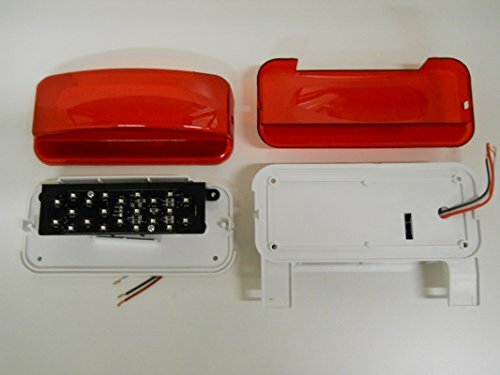 Polycarbonate White Base with 4 Mounting Holes For Secure Installation. Mounting Holes are Approx. 7" by 2 1/2" Apart. Polycarbonate Red Lens with Reflex Design For Added Visibility. Removable Lens For Bulb Replacement ( License Plate Light Uses An Incandescent Bulb ). 3 Wire LED Light. 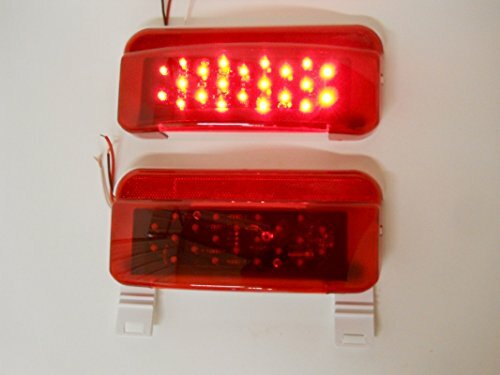 White Wire-Ground, Brown Wire-Tail Lights, Red Wire-Brake/Turn Signal Lights. An Incandescent Bulb Shines Down On The License Plate When Tail Lights Are On. Base Measures 8 5/8" by 3 7/8". 12V Input. DOT Approved.